The South Florida Blues Society Website, home of the Best Blues In the state! 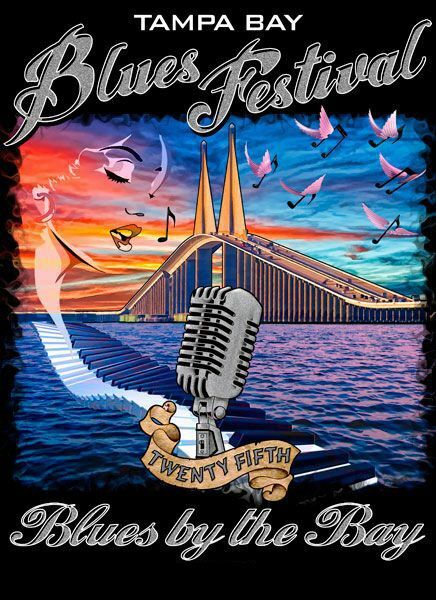 The Tampa Bay Blues Festival is staged at Vinoy Waterfront Park in downtown St. Petersburg, Florida. Gates open at approximately 11:30 a.m. on Friday, 11:00 a.m. on Saturday, and noon on Sunday.On Friday, Gates will open at approximately 11:30am. On Saturday, Gates will open at around 11am. Sunday Gates will open at about noon. The South Florida Legendary Blues Cruise Raffle is on! The Most Anticipated Raffle of the year is on now! 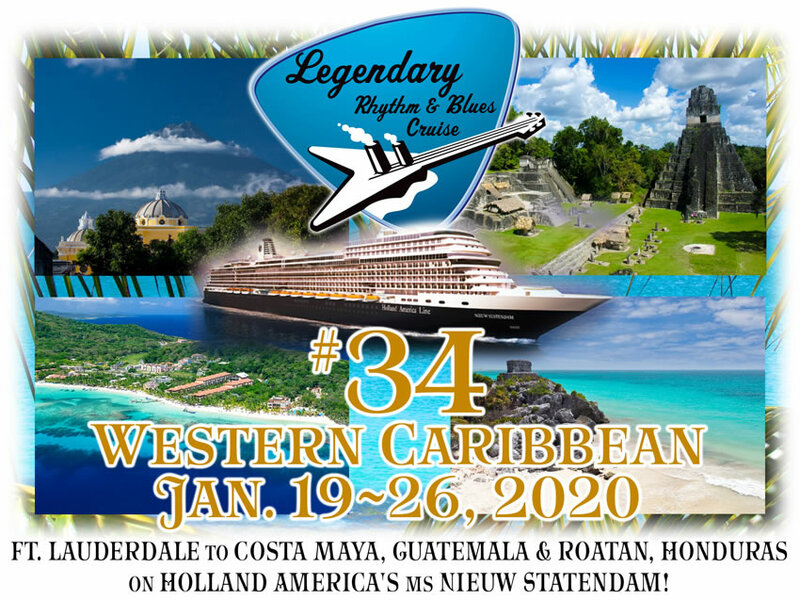 This is your chance to win a cabin for 2 on The 34th Legendary Rhythm and Blues Cruise and go Bluesin’® On The High Seas from Ft. Lauderdale, FL roundtrip to Costa Maya, Guatemala & Roatan, Honduras on Holland America’s ms Nieuw Statendam. Look for Merry Mary at The Tampa Bay Blues Fest or any event of the South Florida Blues Society and get your tickets, or visit our online store and purchase your tickets.